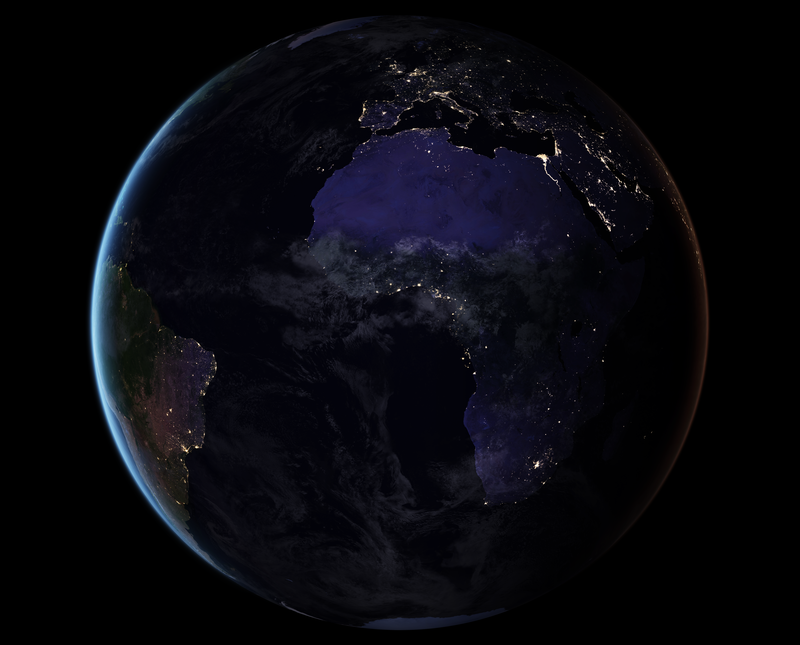 NASA consistently produces stunning and inspiring imagery of our Earth, solar system, and universe, many of which make for exceptional wallpapers for our desktops and home screens, and these new images of our home planet at night are no exception. 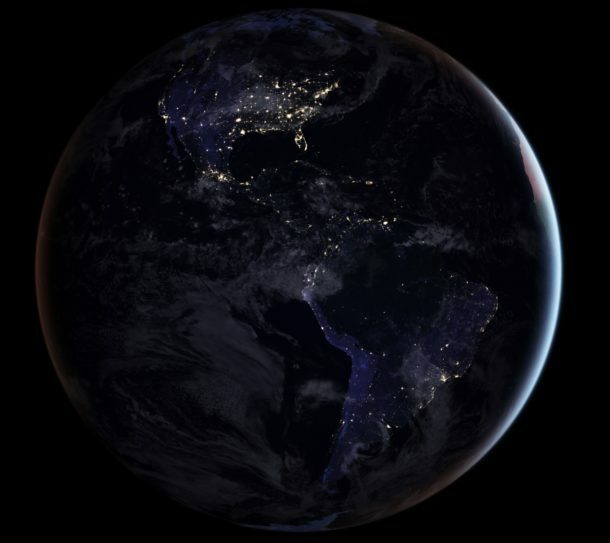 From NASA’s Goddard Space Flight Center, these four high resolution images show Earth and the major habitation sights of humans glowing from light pollution, showing where the cities and population centers are on the planet. The images focus on several regions but here we are focusing on four primary compositions: North America and the USA, Europe and Africa, Asia, and the Americas. Click on any image below to launch the full sized version into a new window where you can download the picture from NASA and set it as your wallpaper. If you aren’t familiar with this process you can read how to set a picture as wallpaper on iPhone or iPad here and how to change the desktop picture on Mac OS here. 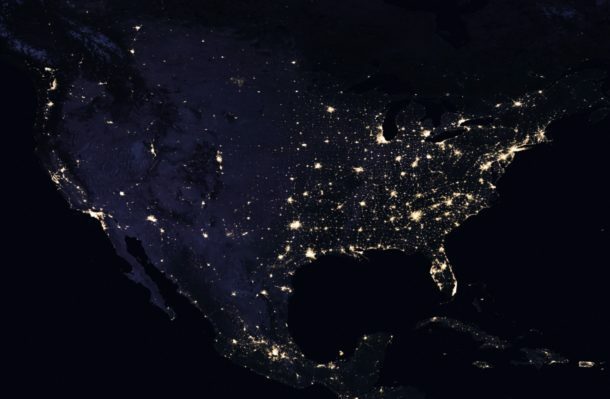 If you’re interested in seeing even more from this collection, including interesting close-up shots of various population centers around the world and how they have grown and changed over the past few years as observed from space, check out this night lights page on Nasa.gov. Isn’t science cool? And if you want additional nice wallpapers, check out some other night shots of the planet or browse our many wallpaper posts here. Try using the File menu to choose ‘save as’ rather than dragging the image out of the browser, that might work. Or you could try another browser. …so then I tried CONTROL clicking the image and that worked. I see the appropriate lights up in Canada in the North America pic. Vancouver and Montreal are huge, everything else is scaled accordingly. 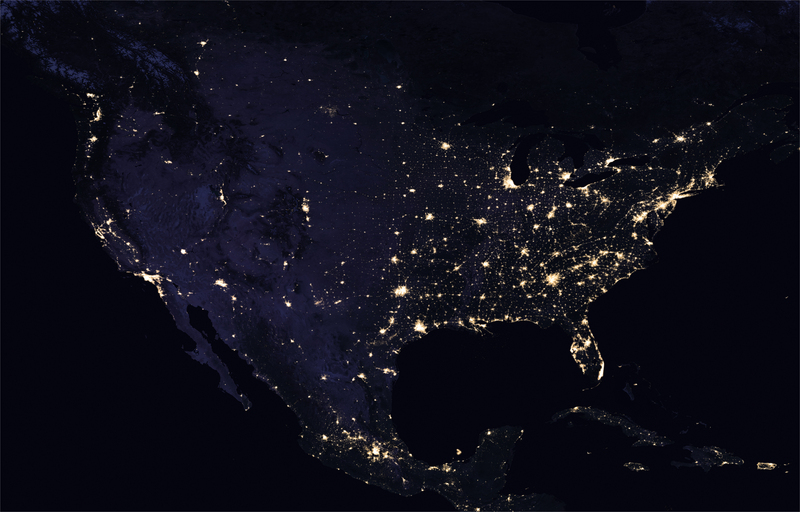 Considering that 90% of Canadians live within 100 miles of the US border, it’s not surprising that there is little to no light in most of Canada at night. 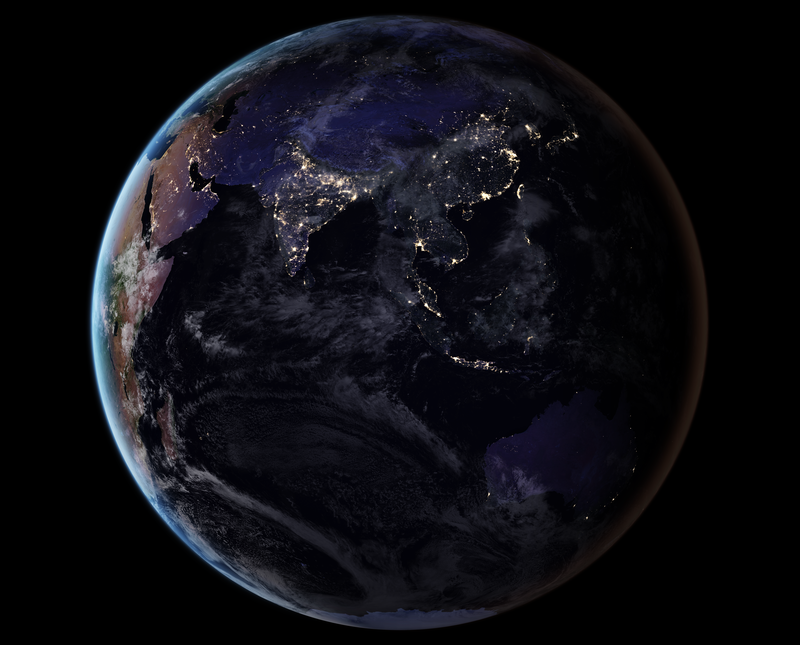 Australia is in the Asia picture, it just isn’t covered in overdevelopment and light pollution like so much of the world. Your outback is a vast wilderness as it should be, if only more of the USA was wilderness too! Imagine if every coutry switches off their lights. 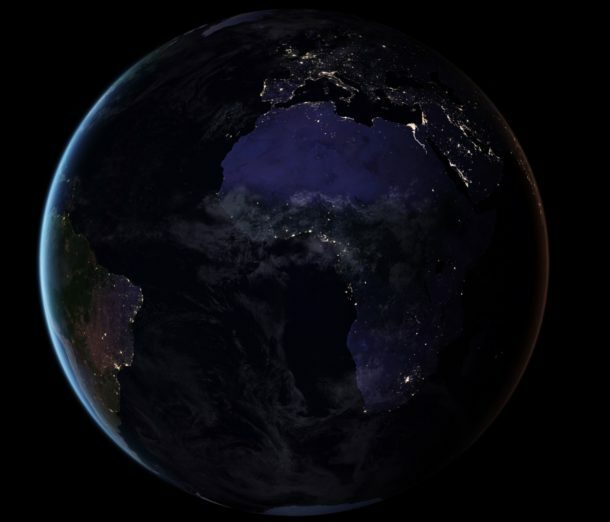 We would have no light pollution at all – what a sad world. NASA, do you have to refer to man made light as pollution? It’s a negative term to what is otherwise a miracle. 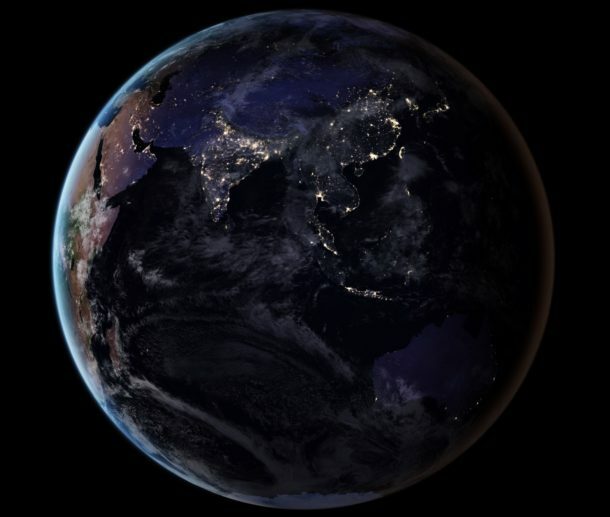 Would you prefer to see the earth as N Korea or lit by oil lamps? And if light is pollution, half the world is in it at any given time. How about “light/sky glow”? Alan, it sounds like you have never heard of the term “light pollution” before. This is not a “NASA” term, though I agree that pollution is negative in all forms. 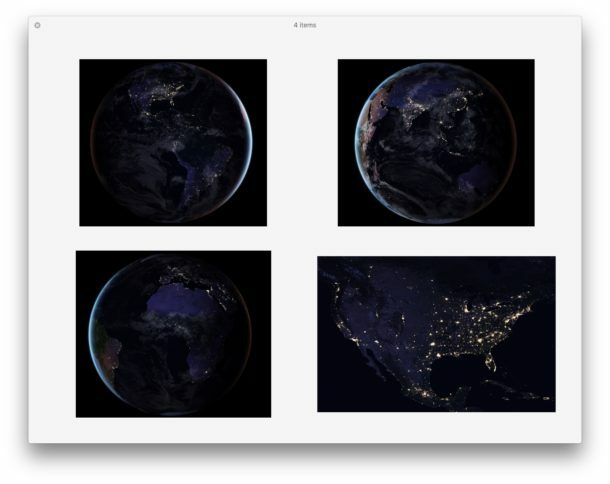 The images shown are mostly pictures of visible light on earth, the light pollution would extend far beyond the visible light imagery as it casts a glow into the sky, onto clouds, and into far surrounding areas, obscuring the night sky and impacting an innumerable amount of things in ways that we continue to learn beyond the obvious obstruction of the night sky, stars, and milky way. It impacts your health, too. It’s a very interesting topic, if you like to read and be informed on new things, anyway. Aside from detriments to astronomy and health, light pollution is also a tremendous waste of energy to send unused and unnecessary light into the sky. 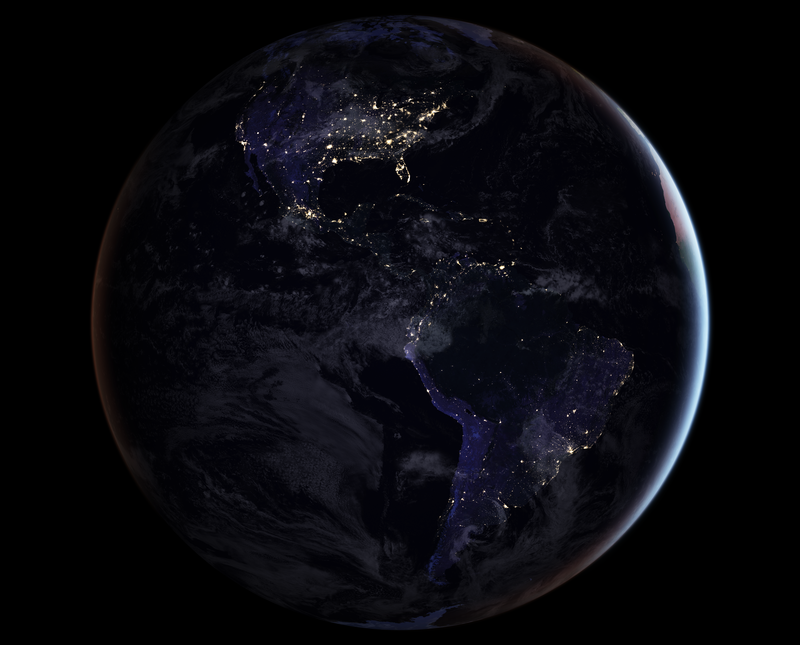 Here’s another great picture of the entire planet at night showing visible light. The maps of visible light show concentrated human habitation on Earth. Theoretically you could seek out similar light patterns on distant planets to try and find advanced life there too. Space and science are great topics, but so few people are informed and most have no idea about any of it. Nothing I didn’t know about but see that the links love the word pollution. However, I do remember black outs in WWII and they weren’t fun. Science? Sounds elitist to me! Leave it to the anti-intellectuals to try and rebrand pollution as something else. No wonder the world is going into the toilet. Evidence based decision making has gone out the window in favor of The Idiocracy and their “feelings” and misinformed opinion. You can’t even have a wallpaper picture on the internet without a parade of fools campaigning against whatever fact based reality may exist because it hurts their little snowflake personalities and opinions. Reality and science do not care about your opinion or your belief system. The computer you are using right now to complain about facts was created by the very science you condemn. I live in Australia, I’m glad I don’t live in a place with so many lights. We have a few areas lit up but mostly you can go out at night and see the milky way in all its glory. In the summertime its truly beautiful. This is very clever how they do this, since everyone knows the earth is flat.